On their own, cucumbers are watery, flavorless tubes--filler material for salads. 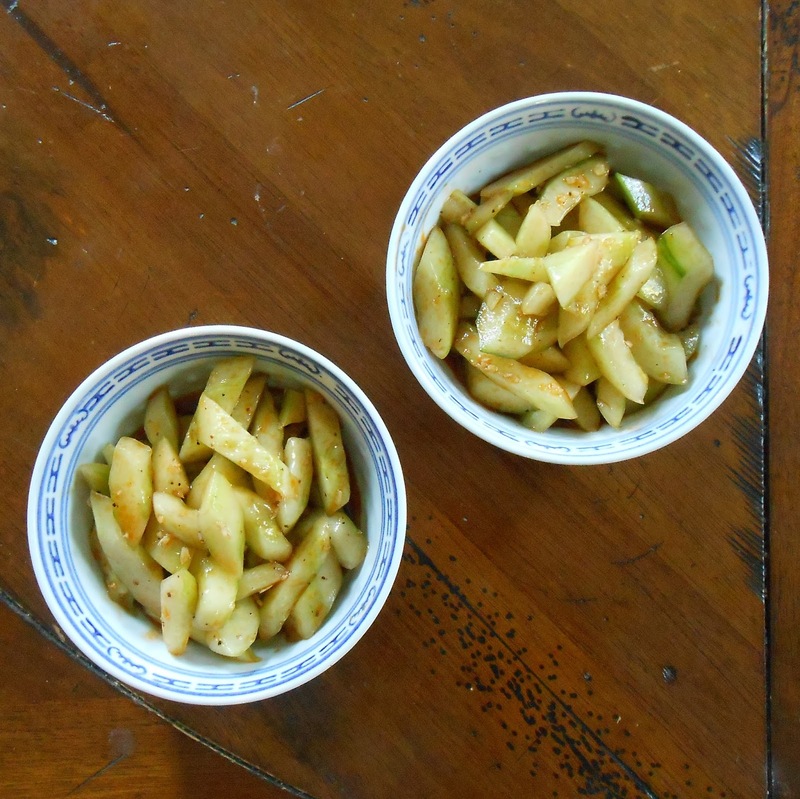 Combined with garlic and a simple sauce, however, they transform into an addictive, guiltless snack or the perfect side dish to Asian noodles. Salting the cucumber helps draw out water; smashing it helps it absorb the flavors of the sauce. Szechuan peppercorn adds a pleasant tingle, like a strong mint. The overall effect is simultaneously cooling and piquant, sort of like ice and... you get the picture. 1. Peel cucumber. Halve lengthwise and seed with a spoon. Lightly smack each half with the flat side of your knife; you want to crack it a little to expose more surface area, but don't pulverize it. Halve each piece again lengthwise, and then slice crosswise on the bias into 1/2" segments. Toss with salt and let rest in strainer until excess liquid has drained, about 10 minutes. 2. Whisk together garlic, sugar, chili oil, soy sauce, and vinegar to make sauce. 3. Shake strainer a few times to dry cucumber, or pat dry with paper towels. 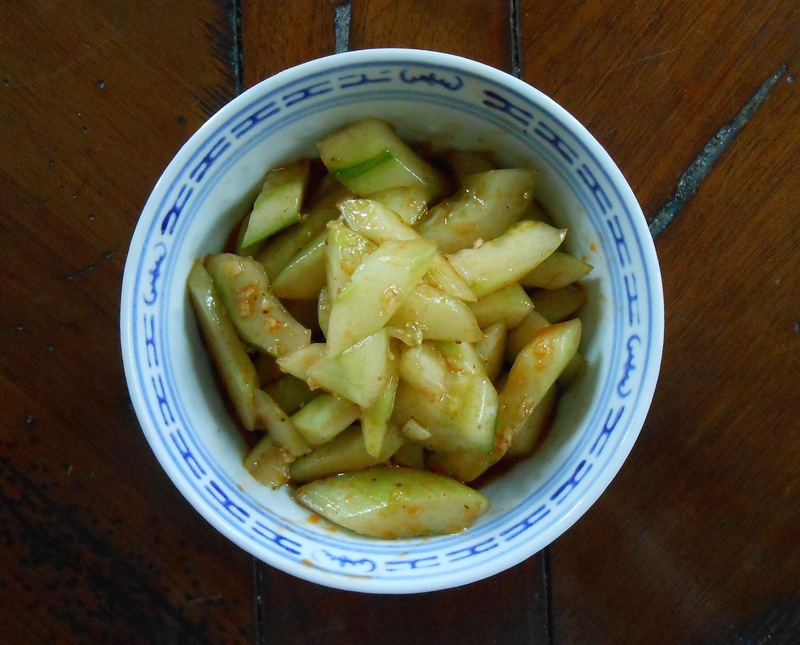 Toss cucumber with Szechuan peppercorn and sauce. Serve immediately, before GRRM can kill off your favorite family member.